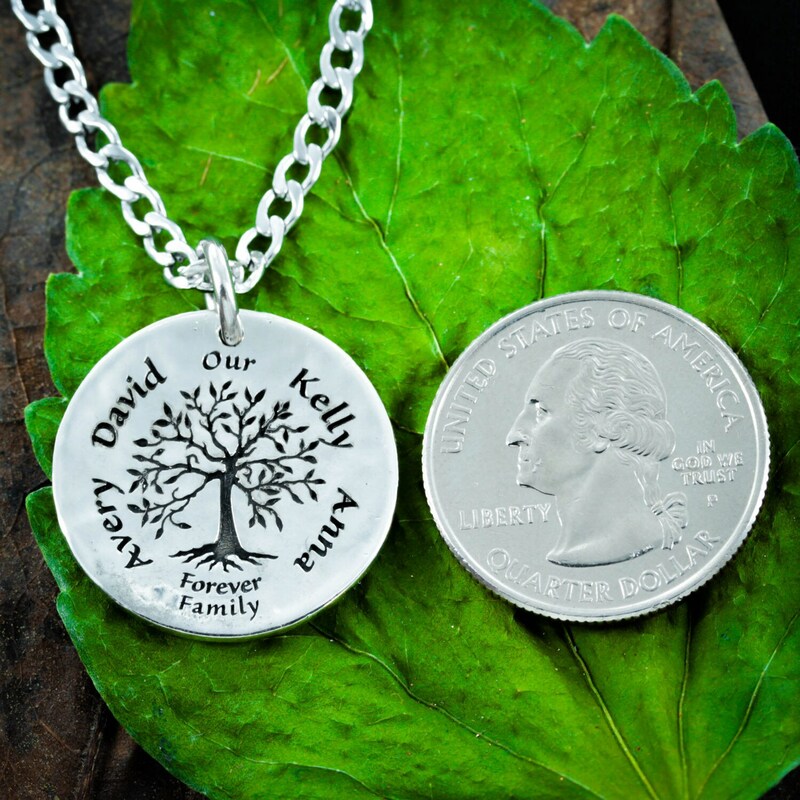 This is a distressed (hammered) silver pendant engraved with a tree and custom names. 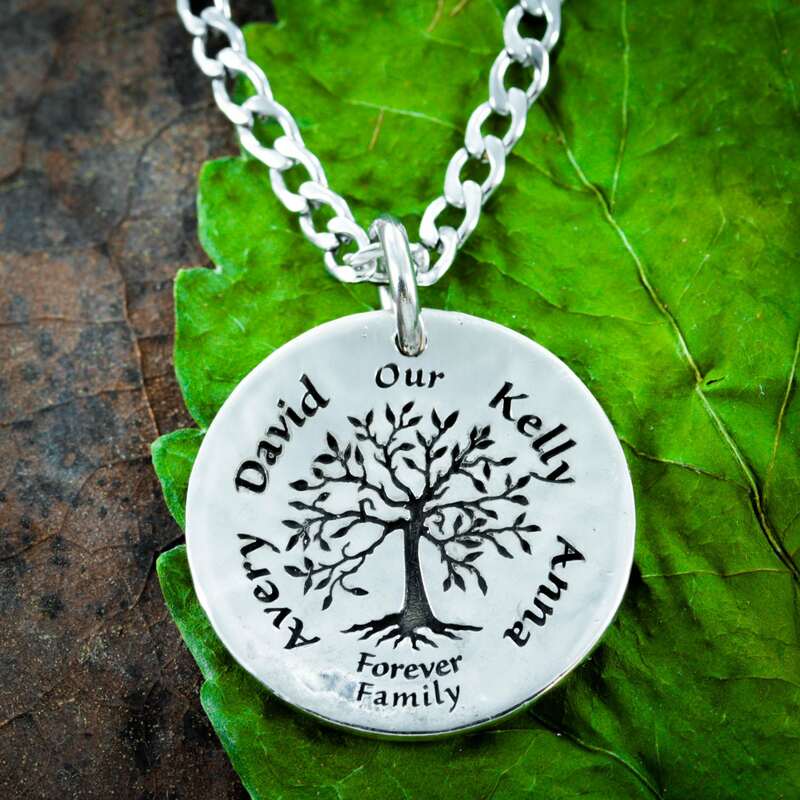 We engrave deeply in the silver so it will last forever. 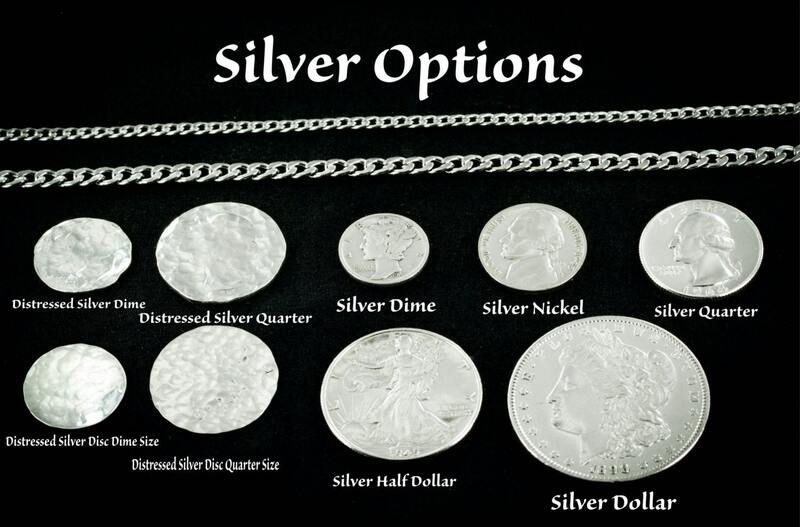 We can use a silver disk or a hammered silver dime or quarter (they are thicker and so cool). Please let us know what names you would like in your order comments. 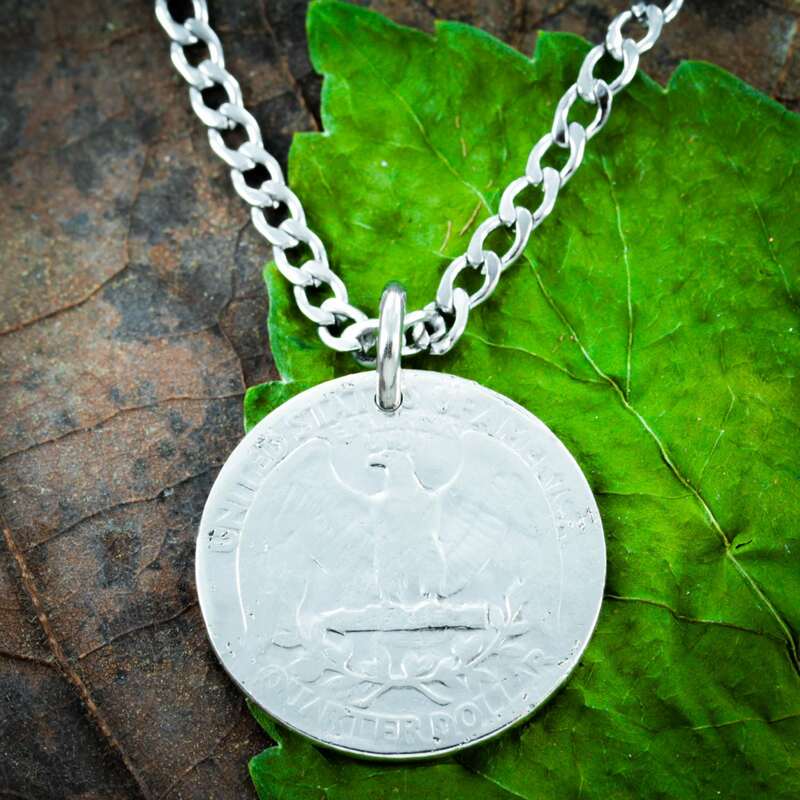 All of our jewelry is made by us in our workshop. 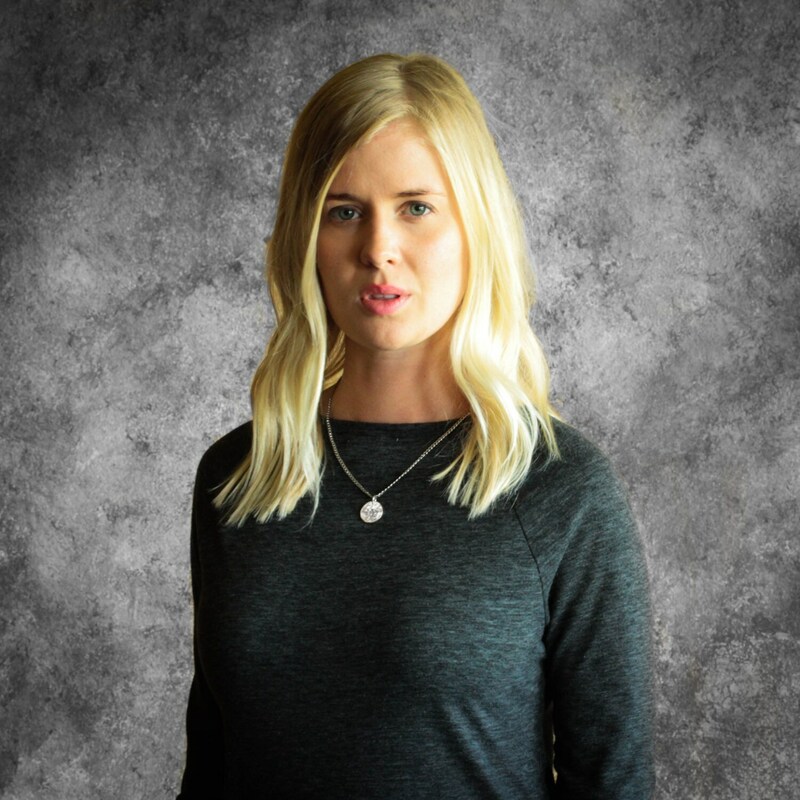 We have a great team of 7; all of us care deeply that you get exactly what you want and something that you will love for years.